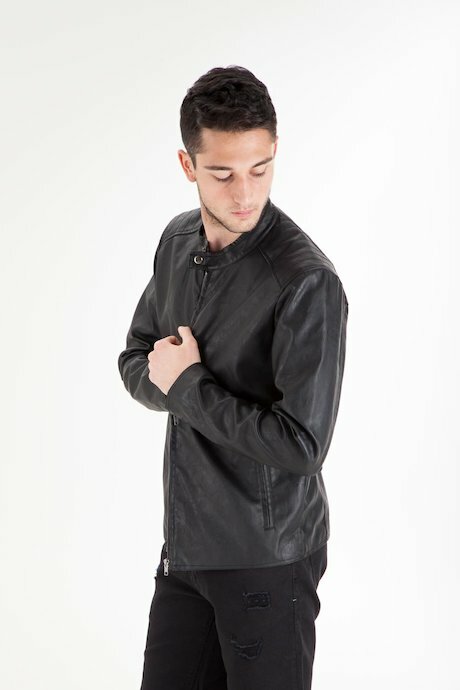 Man's faux leather jacket with lining. 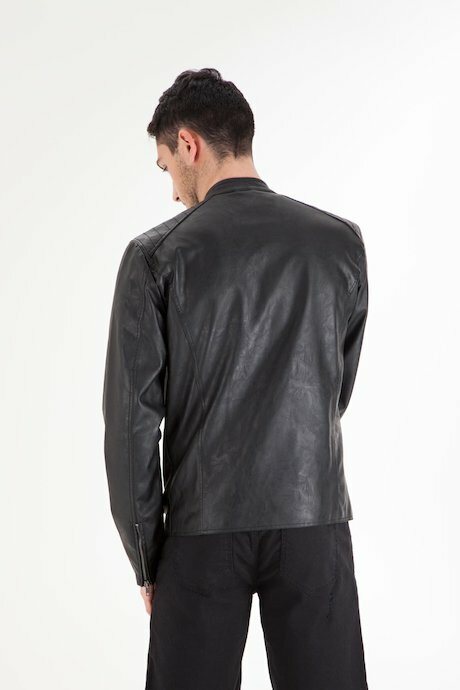 Biker inspiration. 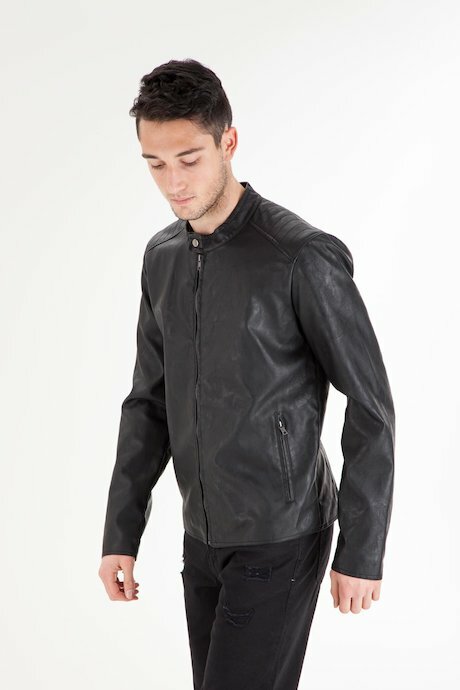 Stand up collar with snap button, zipped cuffs and frontal pockets. 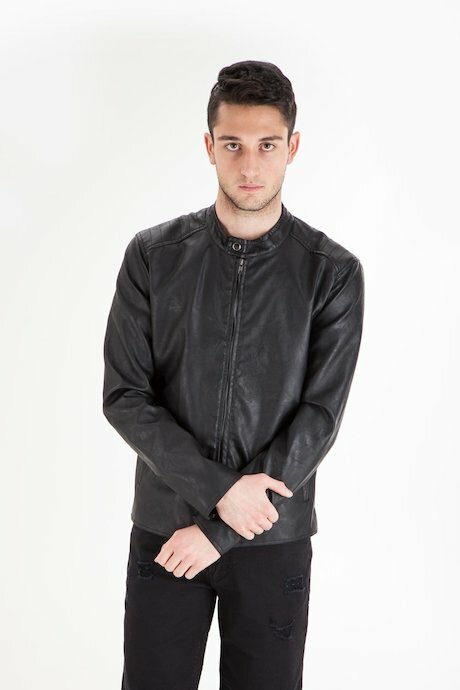 Essential and contemporary line for an easy to wear and versatile garment, perfect on any look of the new season. Check Product Details for more technical information.